"Able to foresee possible delays in my immigration process & sort them before they..."
Ayda practices exclusively in the field of U.S. Immigration and Nationality Law. 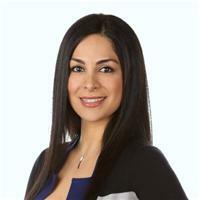 She has been recognized as a "Rising Star" in immigration law by SuperLawyers and a Top Attorney for Immigration by Pasadena Magazine multiple years in a row. Ayda advises foreign nationals, entrepreneurs, startups and companies on inbound U.S. immigration matters, including visitor visas (B1/B2), employee work visas (H-1B, O-1, L-1, TN), legal permanent residence (green cards EB-1, EB2, PERM), investor visas (E-2, EB-5) and citizenship. She has worked with a variety of clients including reputable Silicon Valley tech companies, YC-backed startups, Endeavor… read more entrepreneurs, intl EO members and more. "Gave me the exact information that I needed. Very helpful"
"This was the easiest experience I've ever had working with an attorney. Ayda and her team did the job efficiently and made it incredibly easy for me. I'd hire her again in a heartbeat." "Ayda was very knowledgable and easy to talk with." "Ayda was really amazing. I had a whole list of questions for her and she went through each one with me with a lot of patience and panache. She knows her stuff about immigration law and is extremely helpful. She even provided me with helpful tips, which were an added bonus." "Ayda was very responsive, reasonable, and helpful!"